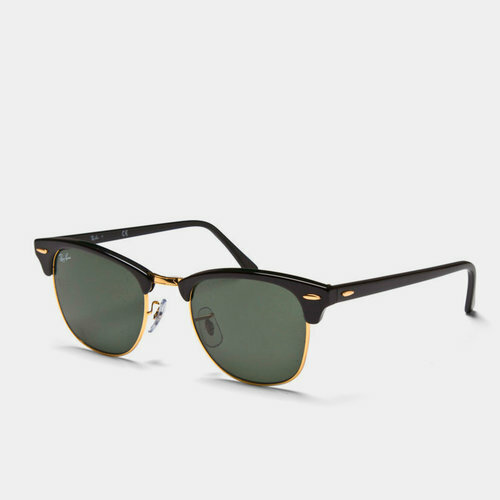 Inspired by the 50's, there's an unmistakeable timeless and retro look to Ray Ban's Clubmaster Classic Sunglasses. Making a statement wherever they're worn, the classic G-15 lens was originally developed for military use to offer a high level of clarity, comfort and protection. These days they are rather more at home found as casual attire, whether on the high street, the beach or cruising around in the sun. From a technical perspective then the green lenses provide remarkable colour contrast and absorb 85% of visible light by blocking out most of the blue light, resulting in better clarity and a more 'natural vision'. Offering 100% UV protection, these Ray-Ban sunglasses come complete with their own stylish carrying case so you can be prepared for any occasion, indoors or outdoors. A symbol of youth, fashion and creativity for over 50 years, the Ray-Ban Wayfarer sunglasses are a must have for any collector or Ray-Ban enthusiast.